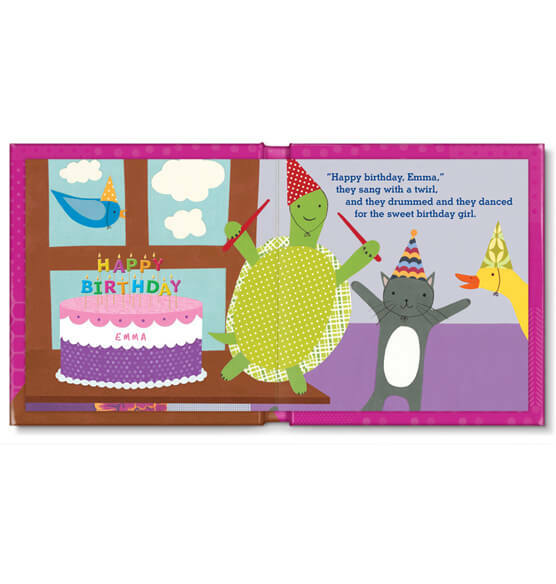 Adorable animals prepare a special birthday party and cake for your little girl in this personalized My Very Happy Birthday for Girls storybook. Air shipping not available on this item. 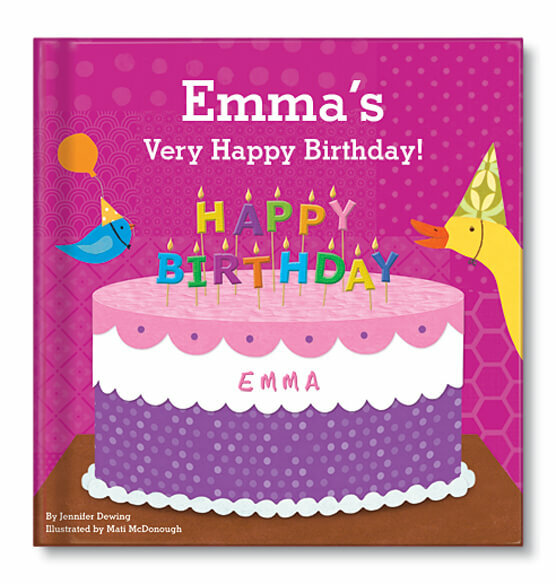 Made in the USA, this personalized book is written by award-winning author Jennifer Dewing and illustrated by Mati Rose McDonough. Specify first name. Children's book measures 6" x 6". 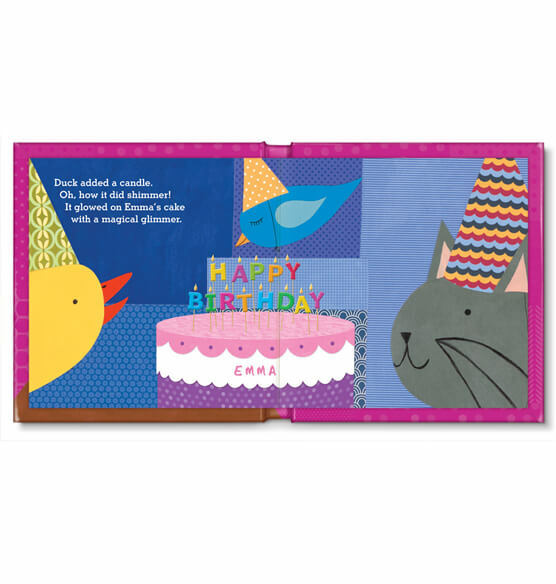 20 durable board pages. Allow 1-2 weeks for delivery.